Hurricane Michael was the third most intense hurricane to make continental U.S. landfall on record. Now that Hurricane Michael has officially passed over the continental United States and into the Atlantic Ocean, the southeastern U.S. is left to assess the damage. Hurricane Michael first made landfall in Mexico City, Florida, around lunchtime on Wednesday. The Category 4 storm struck the Florida panhandle with winds up to 155 mph, before quickly migrating north up along the United States coast. Michael rapidly moved through Georgia and the Carolinas, leaving devastation in its wake as a tropical storm, before passing through Virginia on Thursday as a tropical depression. In Virginia, Michael brought flash flooding, tornadoes, extreme winds, and widespread power outages across the state. 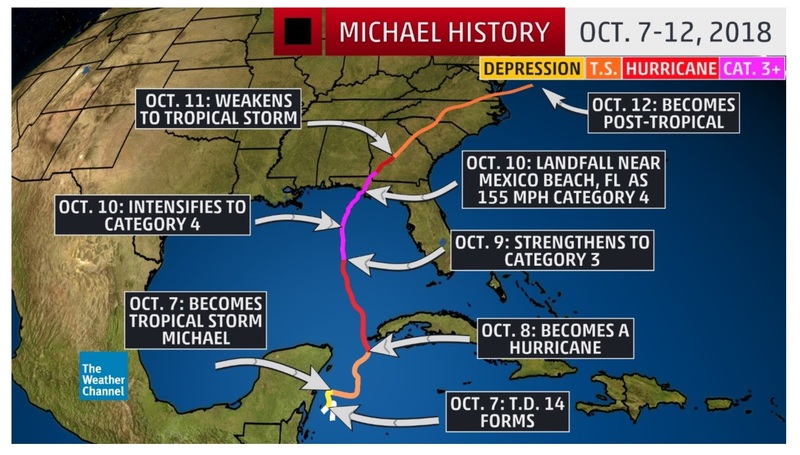 By Friday morning, Michael had left the shores of the continental United States, passing back into the Atlantic, concluding its brief but deadly journey across the South. Now, residents are grappling with the aftermath. According to the Virginia Department of Emergency Management, five are confirmed dead and over half a million people are without power across the state. The five deaths confirmed by state medical examiners brings Michael's current death toll to 13. As of Friday morning, 520,000 people were without power, and 1,200 roads closed across the state, VDEM officials said on Twitter. Over 200,000 in Hampton Roads and 140,000 in Central Virginia were among those without power Friday morning. “It could be days, the power companies are working very hard, it's probably going to be at least a few days for everyone to get their power back," said Jeff Caldwell, external affairs director for the Virginia Department of Emergency Management. Five suspected tornadoes were reported by the Virginia Department of Emergency Management. The National Weather Service is currently investigating potential sites across Central Virginia and Hampton Roads. In the Richmond area, the storm dumped almost 9 inches of heavy rain on the city Thursday. Widespread flash flooding was reported in Chester, Short Pump, Chesterfield, Mosley, and many other counties in the region. Short Pump saw 3-4 feet of water after floods struck around 10 p.m., and one man in Mosley had to be rescued by canoe. Between the hours of 2 p.m. and midnight on Thursday, Virginia State Police say they responded to about 300 traffic crashes and 230 calls for debris and downed trees obstructing roadways. Friday morning, the state continues to recover. Michael might be gone, but the danger it left us is not, state officials warn. "The remnants of Tropical Storm Michael continue to impact large portions of the Commonwealth this morning. 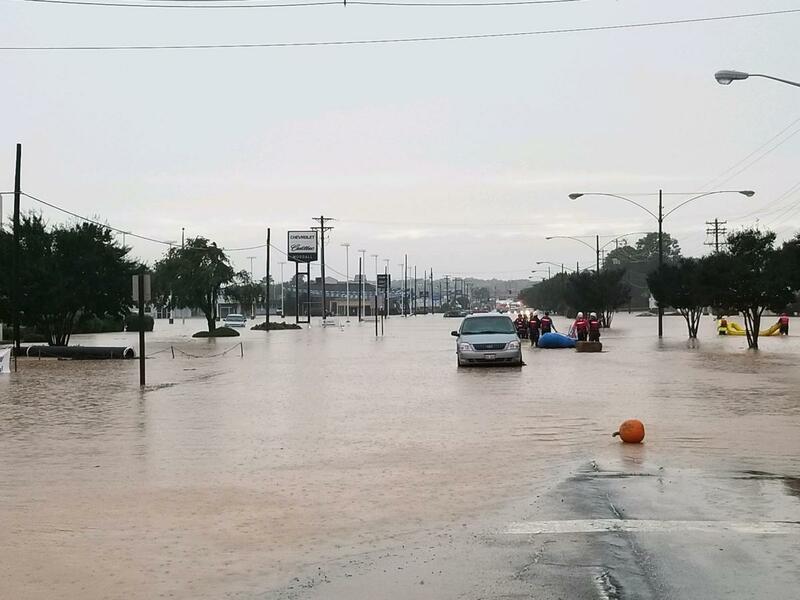 Flooding, down trees, closed roads, and debris will impact the morning commute and one-half million Virginians are without power this morning," VDEM tweeted. Hurricane Michael was the third most intense hurricane to make landfall in the continental U.S. on record. Did you experience Michael's impact in Virginia? Share your story in the comments.